This is the accounting news, automatic financial information update system providing you with the latest hot topics. You can also contribute your own financial information. It can be hard to stay on top of accounting and financial news. Sorting out the puzzle of accounting procedures is a huge task, let alone trying to solve the puzzle with proactive actions. I have set up a process that will automatically update this page with the latest in financial news from around the world in order to make life easier for you. However, not only will I provide the latest accounting information for you here, but I will review it and write commentary to help you understand what you read. I will also make it quick and easy for you to contribute your own news that you have come across relating to accounting and finance. Also, unlike most news services, I will make it simple to provide direct public commentary on news items as well through the Facebook comment box located at the bottom of this page. Do you have news that you would like to share? Just look below the "Latest News" section and you will see a news input form that you can use to send me your news information. Directly below that you will see a list on news stories contributed by other visitors, along with key stories that I have chosen to highlight for you. Just click on the title of any of those items in order to get more details. Have accounting news or news commentary to share? 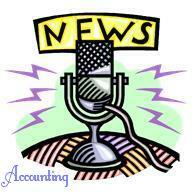 Do you know any news related to accounting that you think should be shared but isn't here yet? This is where you can submit information about it. I will add any news you let me know about and also provide a spot for other visitors to comment on it as well. Your story will appear on a Web page exactly the way you enter it here. If you would like a word to appear bold, you can wrap it in square brackets. For example [my story] would show as my story on the Web page containing your story. It can be hard to stay on top of bookkeeping news also. 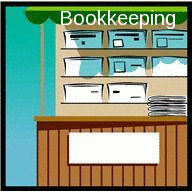 Sorting out the puzzle of bookkeeping procedures is also a huge task, in addition to trying to solve the puzzle by being proactive. I have set up a process that will automatically update this page with the latest in bookkeeping news from around the world in order to make life easier for you. When you are trying to deal with your end of year income taxes, it can take all your energy just to get through the day. But one thing that can help is to stay on top of the latest tax news. You never know when you can find out something that can help you during tax time. 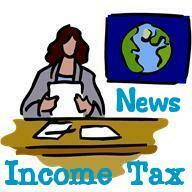 To make life easier for you, I have done the work of collecting the latest news on income taxes for you.